Contoured back provides lumbar support. Stacks up to five high (2 Chairs per carton). Mesh back chair with cushioned mesh fabric seat for cool comfort. Contoured back provides lumbar support. 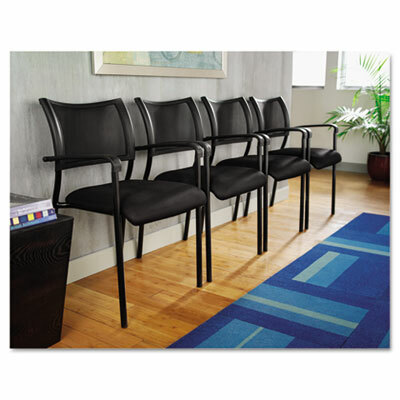 Durable steel frame with textured matte black finish. Stacks up to five high (2 Chairs per carton).